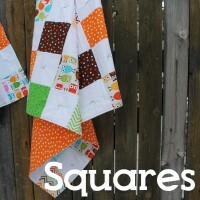 Announcing The Cookbook Quilt Along! Merry Christmas Eve, dear friends! Joy to the world, noel, holly jolly, jingle jingle all the way! 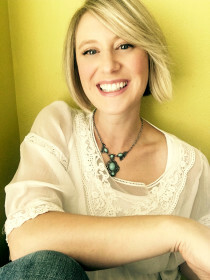 I’m hopping on here to wrap up this busy month with an exciting announcement! 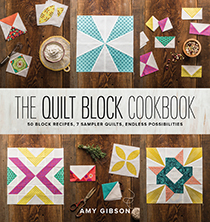 We’ve been super busy preparing for the upcoming fabric launch, but before that happens, there’s another big thing happening- say hello to the Cookbook Quilt Along!!! It’s the 2017 event you don’t want to miss, and it starts in just 9 days!! 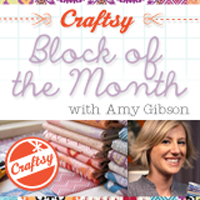 JOIN ME starting Monday, January 2nd, for an exciting year of quilty fun as we make 50 BLOCKS IN 50 WEEKS, working through The Quilt Block Cookbook together in 2017. 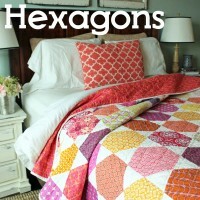 That’s right- this quilt along is weekly! 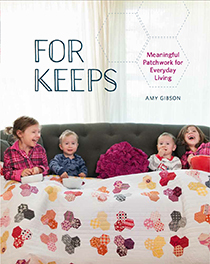 But don’t let that intimidate you…keep reading to find out how this event is the perfect a la carte quilt along for your busy (or not so busy) schedule. 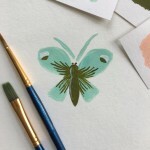 All you need to do to join in is to pick up a copy of the book at the retailer of your choice (or snag a signed copy from my shop), then follow along on my blog or via email. This sew along (I can’t say BOM now that it’s weekly!) is unlike any other I’ve ever hosted. It’s more than just a block, or a sampler, or a book. It’s everything I love about blocks (versatile, inspiring, personalized), and nothing I don’t. That means no rules. (yessss) No having to purchase all of your fabric up front if you don’t want to (double yessss). No having to make every block if you don’t love them all or don’t have time. Just inspiring, challenging, flexible, FUN. 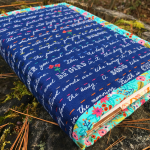 Every week I’ll be featuring a new block from the book, along with fun new creativity boosters like different fabric versions, construction tips, improv and customization ideas, full non-sampler quilts, and even non-quilt projects (that’s right, you don’t have to make a sampler!). 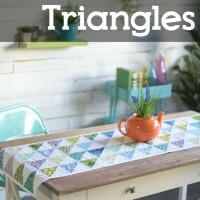 From bags to pillows to table runners and more, there’s so much you can do with your blocks! If you want to make one or several samplers from you blocks, that’s awesome– I’ll be sharing layout options along the way –but if you don’t, that’s 150% OK too – let’s stitch together this year, block by block, and soak up the little joys that each block, and each week brings! First block will go up on Monday, January 2nd, and we’ll continue each Monday through the year. 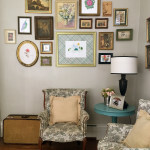 Look for the posts on my blog (StitcheryDickoryDock.com) and in your email. There are no fabric requirements. AH! I know…this has some of you freaking out! 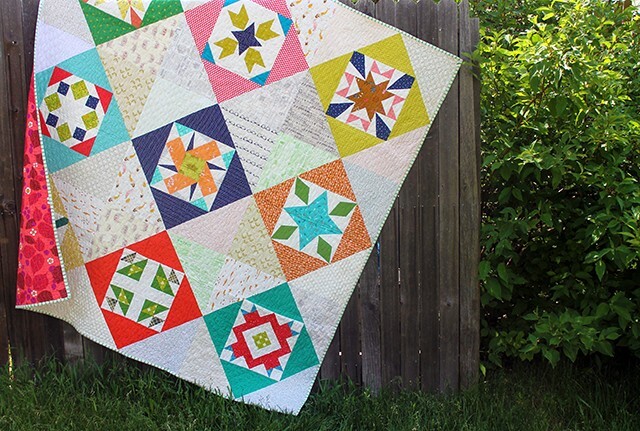 Because of the flexibility of this event, I encourage you to start with a color palette, or, if you’re a collection kinda person, an inspiration line, and then let the blocks grow and build from there, adding fabrics as you go. 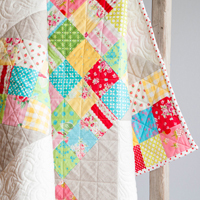 This is a great way to help maximize creativity, and will make for character-filled quilts. If you’re working with solids, select a brand and color that you know you’ll be able to easily get more of (like Kona Solids by Robert Kaufman). 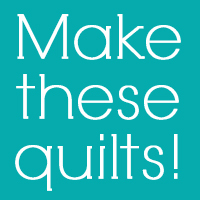 Quilt guild…church group…quilting club…family….neighbors…this event is for everyone! Invite your peeps and let’s do this! I can’t wait to get started!! Merry Christmas guys! Count me in, I’m excited and ready to go. Love this and will be joining. How about an actual food recipe to go along with the blocks? 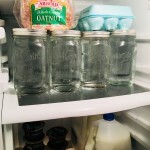 I’ld be glad to share a family favorite to help out. My mom picked up your book (from my desk, of course) and remarked that she couldn’t find any of the recipes!! I laughed but then wondered…why not both fabric and food!? Sounds interesting!!! I went to your shop and you book is sold out. Will more be coming soon? I can’t wait to start my husband gave the book for Christmas. Just now purchased your book from Amazon, it should be here in a couple of days. 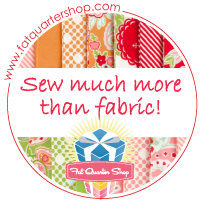 Gives me just enough time to clean up my sewing room! Got the book last month – love it! Favorite block? “second star” – so pretty. 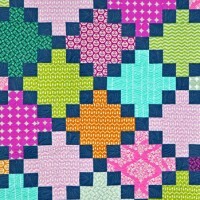 Can’t wait for the Quilt along to start. Fantastic as always Amy. 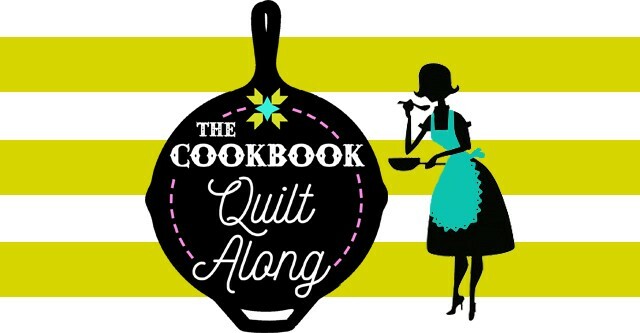 Am from Australia and I was wondering if the Quilt Cookbook comes in the form of E-book? It would be easier for me. Keep up the great work and I will be looking forward to ALL your ideas..
Sew fun!! I am going to try and keep up with this! This is great! I’m in. Book comes tomorrow. I’m in! My book came in the mail today. A beautiful book, looking forward to following along! Thank you so much for sharing with us. Happy New Year! So excited!!! Book is beutiful and can’t wait to get started. Would you consider providing pdfs of the templates to avoid the nuisance of enlarging and photocopying? Happy to pay for tgis as a bonus feature. Thanks. My book was delivered today and I can’t wait to get started. Love the book…. Count me in! I just bought the book and a 12 1/2″ square ruler. Very exciting. I’m excited. I’m going to try to do this and Leah Day’s so I can get some FMQing in, too! 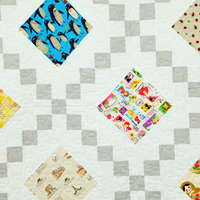 Will your favorite be out in time to use as part of the quilt? That sounds like a really fun idea! I like it! I’m in. Although, I’m currently working on pairing together Spin the Bottle and All Aglow. We’ll see what happens! Count me. My first quiltalong! Love the no rules. Will there be a gallery or just the hash tag on Instagram? a user in his/her brain that how a user can knjow it.Thus that’s why this article is great.